You would think buying gifts for babies is oh-so easy because there are so many cute things out there right? But how about unique, useful gifts that last? Now it gets trickier. 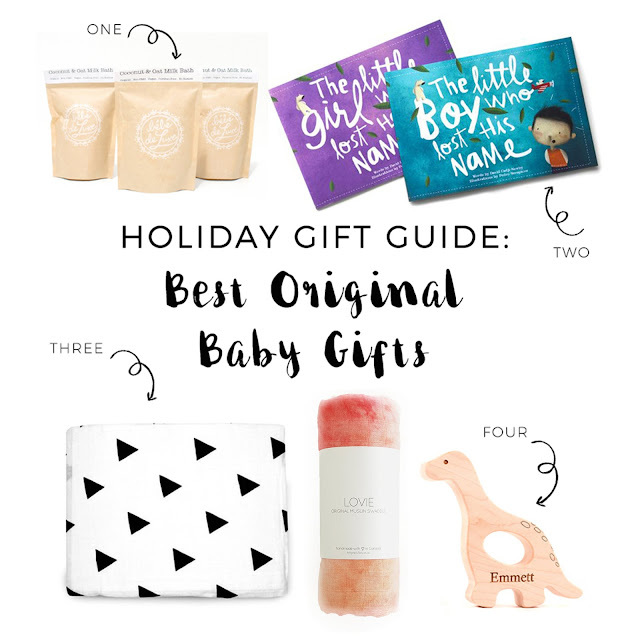 I've rounded up some of my favorite baby gifts for the Holidays - and the best part? Most of those come from amazing small businesses that I absolutely adore. two ▴ this beautiful book can be customized to your child's name, we just ordered ours! three ▴ beautiful, soft muslin swaddle blankets from here and here - one can never have too many!